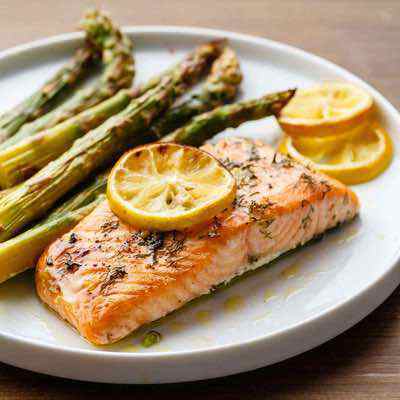 The following easy Paleo recipes are designed to get you from no meal to meal in no time at all. 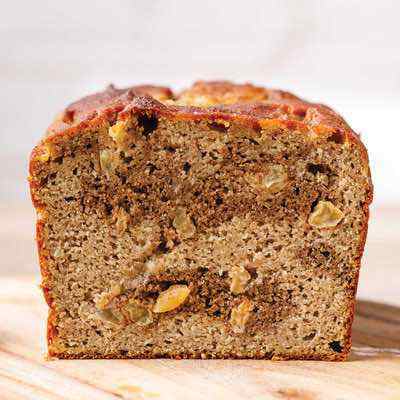 They either have a short list of ingredients to assemble, a short list of steps to follow, or a short time from start to finish, and in many cases all three. You can be sure that you won’t be overwhelmed when trying to make these, but you’ll still feel like a culinary pro when you’re finished. 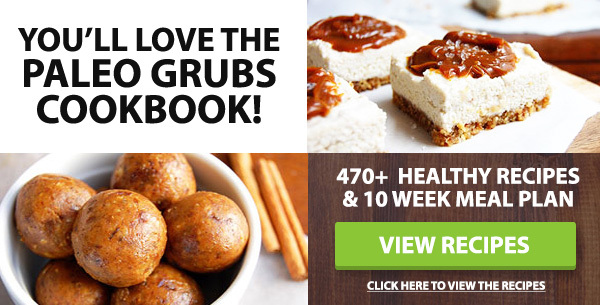 The best part is that easy doesn’t mean bland or boring, you’ll find that you can cook some pretty impressive meals without losing your head, or your cool with these easy Paleo meals. 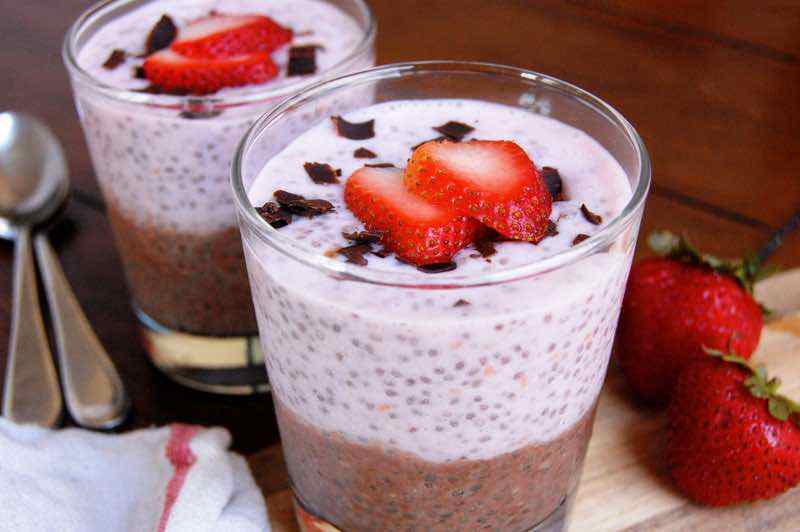 Chia pudding is an incredibly easy paleo dessert to make, and can be prepared the night before. Only five ingredients are required. 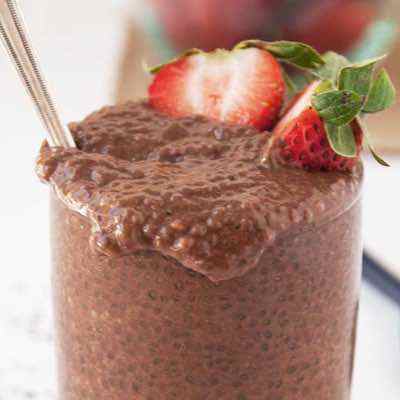 Simply stir the chia seeds with melted chocolate, milk, and blended strawberries and place in the refrigerator overnight to let the seeds work their magic. The next day, rich pudding is ready to go for dessert. 1. 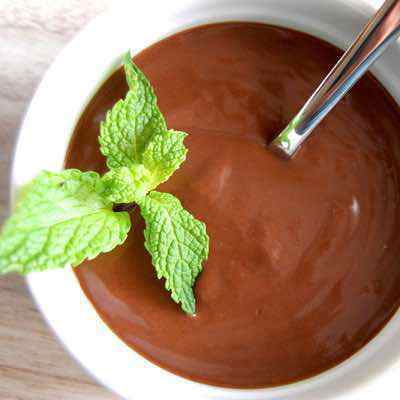 In a pot, melt the chocolate over low heat. 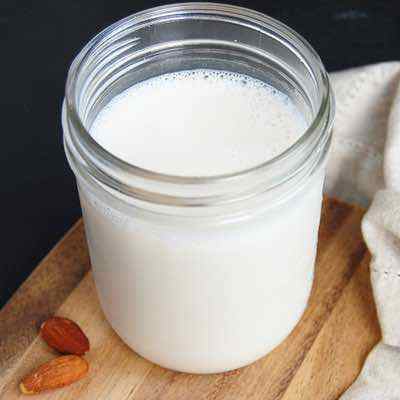 Slowly whisk in one cup of almond milk. Remove from heat and let cool. Once cooled, pour into a glass container and stir in half of the chia seeds. Cover and refrigerate overnight. 2. 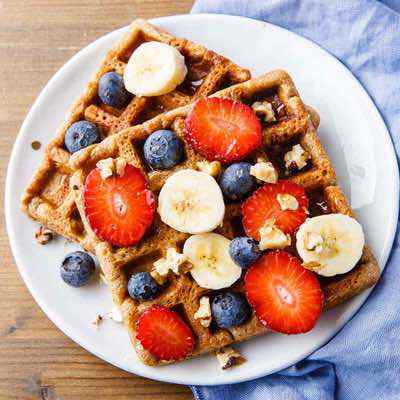 In a large cup (if using an immersion blender) or a blender, combine the strawberries, honey, and the remaining cup of almond milk and blend until smooth. Pour into a glass container and stir in the other half of the chia seeds. Cover and refrigerate overnight. 3. To serve, divide the chocolate pudding between two glasses. Top with the strawberry pudding and serve cold. 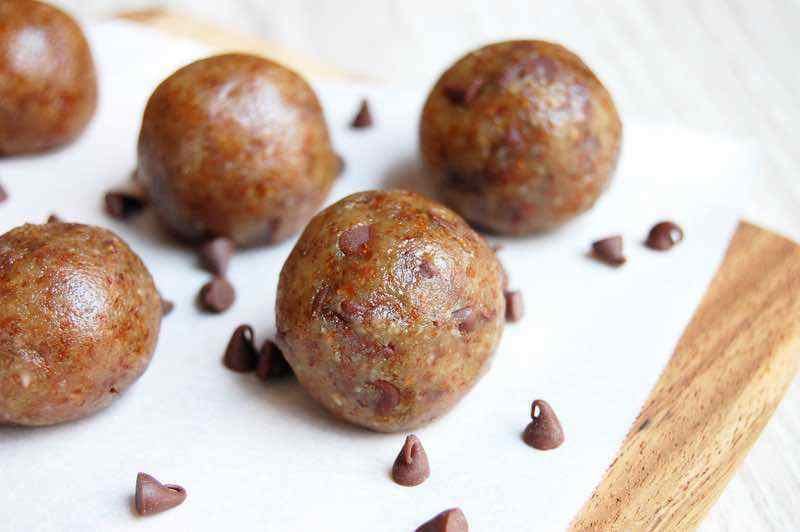 When a sweet craving hits, these chocolate chip cookie dough bites make the perfect easy paleo snack. Unlike regular cookie dough, these healthy bites are made with almond flour and are gluten free, egg free, and free of refined sugars. Coconut oil can be substituted for the ghee if desired. The cookie dough bites take very little time to make, and can be stored in the refrigerator for a grab-and-go treat. 1. Place all of the ingredients into a small bowl and mix well until combined. 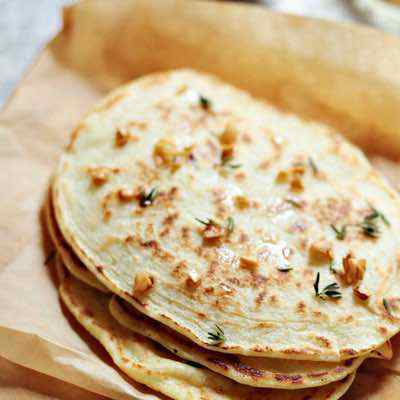 Use your hands to roll the dough into small balls and then set on a sheet of parchment paper. Place in the refrigerator for 20 minutes to harden. Store in the refrigerator. 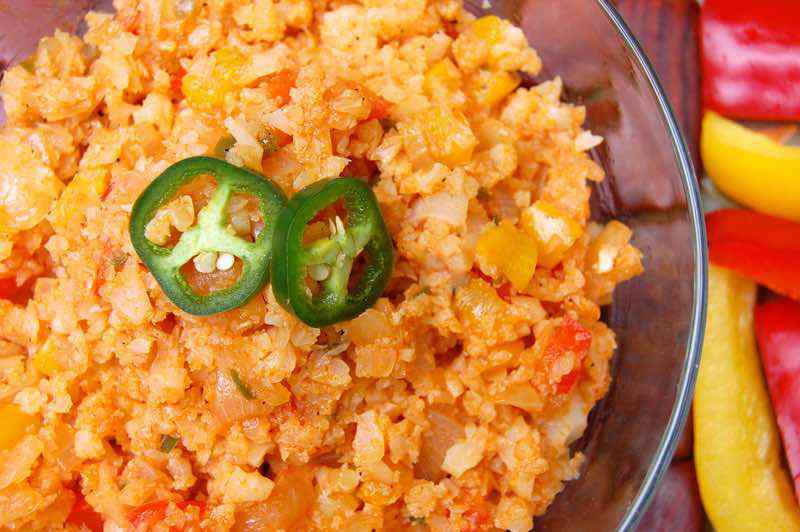 Slow cookers are a great tool for cooking entrees, but they can also be used for making large batches of tasty side dishes such as this Mexican cauliflower rice. Ricing the cauliflower prior to cooking is an optional step – you could also rice the soft cauliflower after it is done, or just use a fork to mash it. 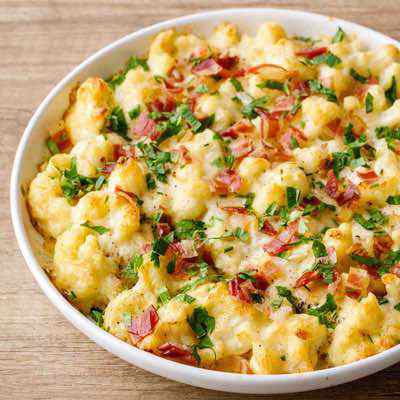 The spicy flavors are a delicious step up from basic cauliflower. 1. 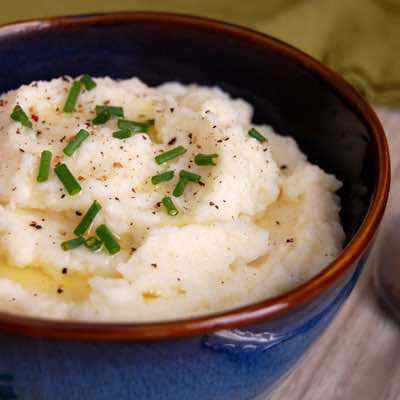 Place the cauliflower into a food processor and pulse until reduced to the size of rice grains. 2. Add the tomato sauce, chicken stock, and spices into the slow cooker and stir to combine. Add the remaining ingredients and stir to coat. Cover and cook on high for 3 hours. Adjust salt to taste. Drain any excess liquid before serving. These sticky and sweet barbeque chicken wings will have you licking your fingers. They are baked in the oven on a wire rack, which helps to evenly cook the wings. If you do not have a wire rack, lay the wings directly on parchment paper and rotate halfway through the cooking time. Brush with additional barbeque after they are done baking for an extra saucy meal. An easy paleo recipe for barbeque sauce is provided, but feel free to use your own version. 1. To make the barbeque sauce, combine all of the ingredients in a medium saucepan over medium-high heat. Bring to a boil, and then reduce to simmer for 45 minutes. Taste and adjust seasonings as desired. 2. Preheat the oven to 425 degrees F. Line a baking sheet with parchment paper. Place a wire rack on top of the baking sheet and coat with coconut oil spray. Combine the chicken and barbeque sauce in a large bowl and toss to coat. 3. Place the chicken wings on the wire rack in an even layer and bake for 25-30 minutes. Brush with remaining barbeque sauce and serve warm. Apple crisp is a great way to enjoy a sweet dessert without too much hassle or time in the kitchen. Once the crumble turns golden brown in the oven and the apple is slightly bubbling, it is ready to serve. 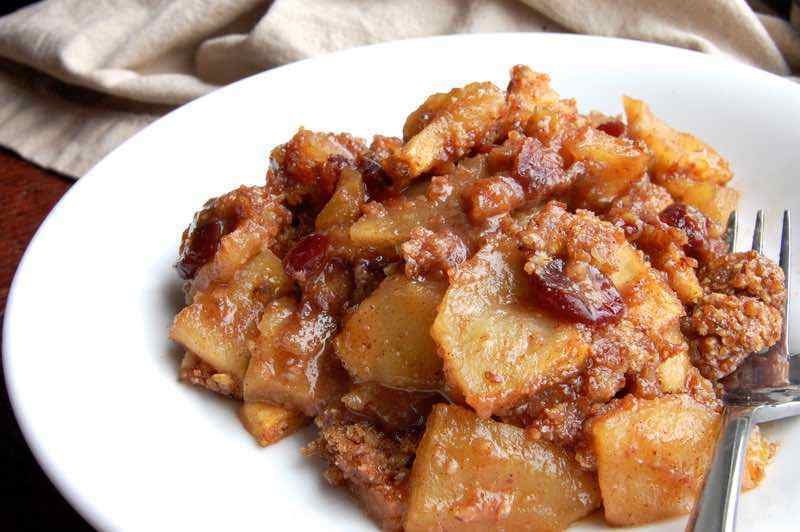 With this apple crisp you can enjoy the flavors of apple pie without making an entire piecrust. 1. Preheat the oven to 350 degrees F. In a large bowl, mix together the apples, cranberries, honey, orange juice, cinnamon, and nutmeg. Place the mixture into a pie dish. 2. 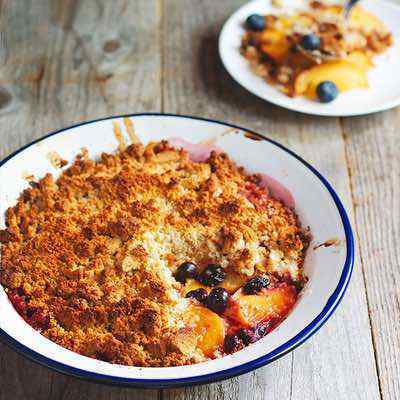 Using the same bowl, mix together the ingredients for the crumble until combined. Spoon the crumble over the apple mixture. Bake for 30-35 minutes, until bubbly and golden brown. Let cool slightly before serving. If you like butter chicken you can get the same sort of taste, only using scallops in this simple butter scallops recipe. Don’t let the long ingredients list scare you off, those are mostly spices that you simply measure out and add in. It all takes place in one pan, so you just combine everything as instructed in the two-step tutorial and in 25 minutes from start to finish you end up with a dish that will be worthy enough to serve to guests, or just as a treat to yourself. And of course everything checks out as Paleo-approved. If you’re like us you wouldn’t have thought to pair figs with pancetta, but that’s what they’re doing here for a sort of appetizer. In between the pancetta and figs are basil leaves, so you’ll be getting a ton of flavor from just a few simple ingredients. 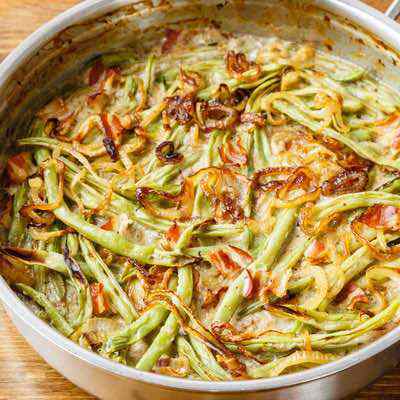 This recipe is as easy as toothpicking some figs and pancetta or prosciutto together and baking them up. But if you serve them up as appetizers your partygoers will think you’re the next celebrity chef. You don’t even have to tell them it’s diet food, they wouldn’t believe you anyway! Who says you can’t have ice cream on Paleo? This is one way to have your just desserts and remind yourself that dieting doesn’t have to be a chore or a sacrifice. 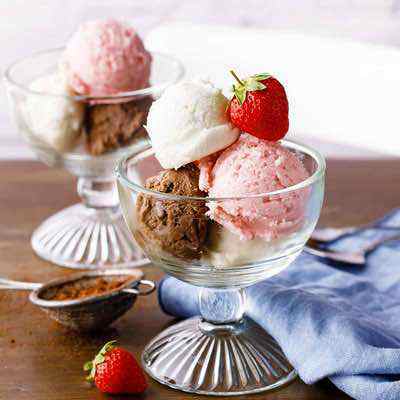 This recipe shows you that you don’t need a cow to enjoy ice cream, and they’ve made this using coconut milk so it will be rich and creamy with a slight coconut flavor. This recipe may take a little longer than the others, but it’s super easy, and you end up with the flavor of roasted bananas mixed right into your ice cream. Top this off with some cocoa powder for a real treat. Soups are generally easy to make since all you’re really doing is chopping up some veggies and putting them in the pot to cook. This recipe takes just 10 minutes to prep it all and then 45 minutes to let it cook and get just right. There are plenty of ingredients, but nothing that is hard to get ready to go into the soup, so in no time flat you’ve gone from no soup cooking on the stove to a delicious soup that will be ready soon and can cook while you attend to other things. Since it’s loaded with meat this serves as a meal all by itself with the cabbage as your required veggie. On Paleo you’ll quickly figure out that you can have just about anything, as long as you adjust it so it falls within Paleo guidelines. You can even have fish and chips, the classic British version of fast food. The fish gets coated in almond flour and the chips are made from sweet potatoes. All that’s left is making sure you fry it up in some Paleo-friendly oil and you’re good to go, right oh, Cheerio! 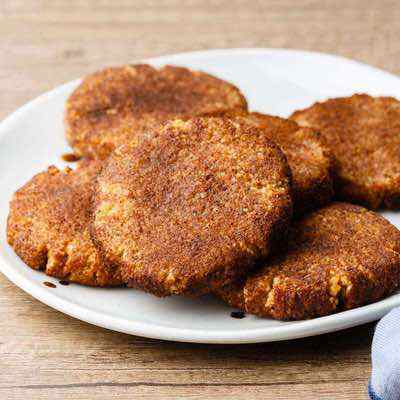 They’re using palm shortening as their preferred frying oil, which is a Paleo oil that you can use for that classic deep fried taste, but without the nasty oils used by most restaurants. Set the timer for 20 minutes before you begin making this dish, as that’s how long it takes from start to finish. The “zoodles” are noodles made from zucchini, and the beef ragu is something that doesn’t come from a jar, but is actually made from grass-fed beef, an amazing red pesto, and some ghee. 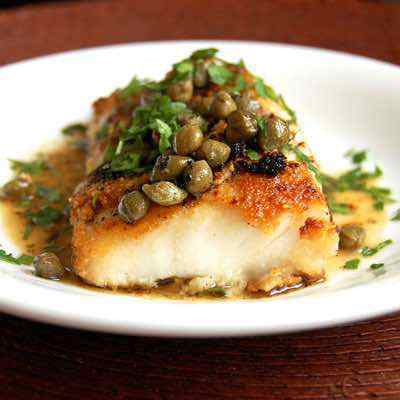 This is enough to tantalize your taste buds and you’ll be amazed that you could throw it together in no time at all. The best part is that even the red pesto recipe is provided, and it’s super easy to make so you can make a batch of it and keep it handy for times like these. Using the Crock Pot, or should we say Grok Pot, to make chili is a fantastic idea because the pot does most of the heavy lifting. Your only duty is to toss everything into it and turn it on. The beauty of this recipe is that it’s taken away anything that isn’t necessary in a chili, and anything that isn’t allowed on Paleo, and put in just the essentials that you’re looking for when you’re seeking out a bowl of chili. You basically toss everything in with no rhyme or reason, step away for 8 aways and voila, help yourself to some perfect Paleo chili. It’s not surprising that you can make a pretty awesome looking shrimp cocktail on Paleo, after all, shrimp is definitely a Paleo food. But the cocktail sauce is what presents a problem in most cases. By now you probably know that you can’t trust most stuff you find in stores to be Paleo friendly, and cocktail sauce is one of those things. This means you’ll need to make your own, but relax, it’s super easy and they even provide you with the instructions. 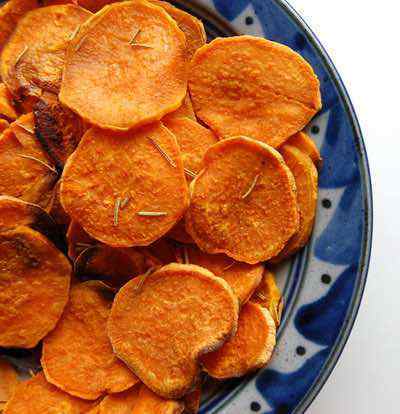 So dip away, fearless Paleo eater! These bars make it easy to get through the day without feeling hungry at all between meals, one of the most serious threats to any diet program. You can feel good knowing that absolutely nothing in these bars is off the Paleo path, and is designed to provide you with clean burning energy with no crash later. The beauty is that they’ve added in some medjool dates and chocolate, so these will actually taste good too, and be extra satisfying because of all of the nuts they contain. It can be hard giving up your favorite delivery or restaurant foods when deciding to go Paleo, but if you love Orange Chicken from your favorite Chinese place, this Orange Shrimp can get you most of the way there. As an added bonus it’s been given a spicy upgrade thanks to some chili garlic sauce, with a separate recipe provided so you can make a bunch and keep it handy whenever you need to add a kick to a meal. 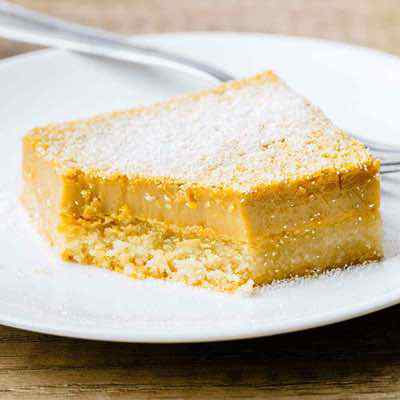 The attraction to this recipe comes from just how quick and easy it is to whip up, great for satisfying a craving that comes on fast and strong. 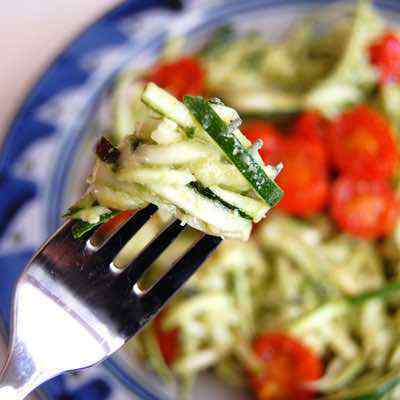 Keep it simple with this pasta bowl made with zucchini as the pasta, and a Paleo friendly pesto that will have you licking your lips after you’ve finished. The pesto is made with walnuts, so you’ll not only get the classic taste of pesto, but also the added flavor of walnuts, which stand in for the traditional pine nuts, and bring with them some healthy fats and even some protein. Some cherry tomatoes and this is good to go as a side dish, or can have some meat added to it for a complete meal. Think Indian food has to be hard to cook? Think again! 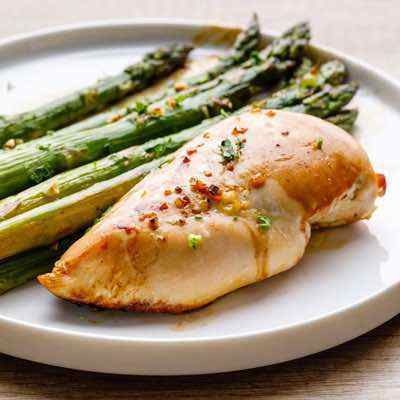 This recipe proves that you can make something that tastes amazing without having to be a professional chef or spend hours in the kitchen. The basic ingredients are plenty of organic chicken, some cut up vegetables, and various herbs and spices. What really makes this easy is the step-by-step photos they provide which visually walks you through the entire creation process so you don’t have to wonder if you’re doing it right. 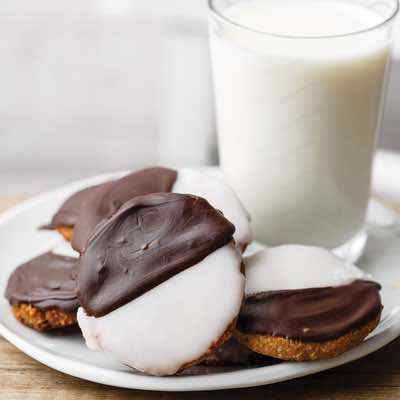 You may be surprised to learn that you can eat cookies on a diet, and it doesn’t count as cheating and you don’t have to wait for a “free day” or any such nonsense. 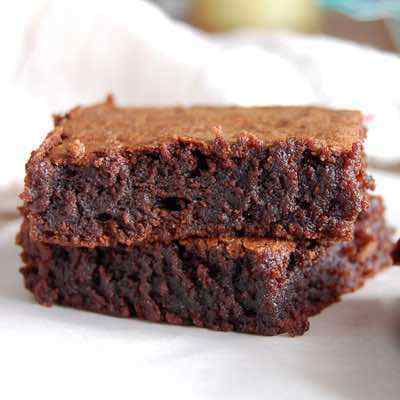 You simply need to make them according to the Paleo approved food list, which isn’t that hard to do. 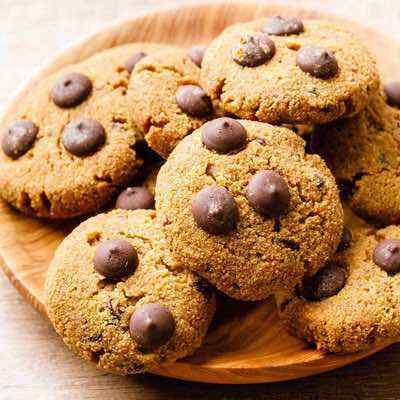 The star of the show for these cookies is not even the chocolate, but the macadamia nuts that are being used. 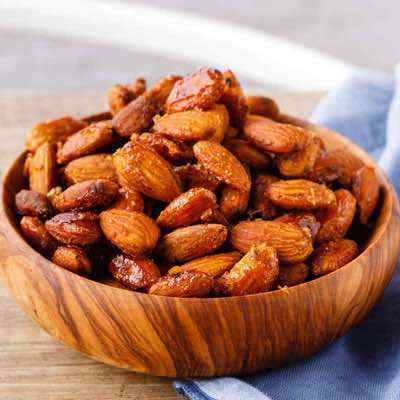 These will provide you with plenty of healthy fat, and pair nicely with the medjool dates for chewy goodness. 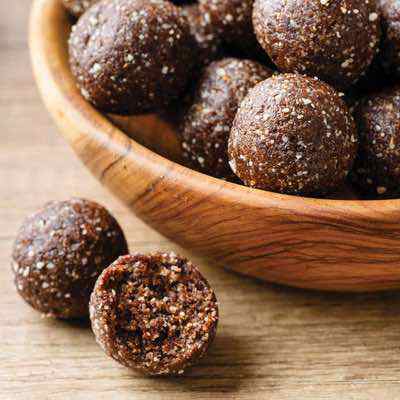 The chocolate they’re using is cacao, an unsweetened form that you can use on Paleo. Keeping a ready supply of Paleo friendly ketchup is a wise move when you’re trying to establish new eating habits. The reason it’s so important is that you can replicate a lot of the foods you love right down to the detail of dipping them in ketchup, which helps the brain believe that nothing has changed and it’s business as usual. This ketchup is great for dipping sweet potato fries in, or chicken fingers, or on some sweet potato hash. You won’t believe how easy this is to make, and it’s a far superior alternative to anything you’ll find sold in mainstream grocery stores. If you love the taste of pulled pork but always thought it would be too hard to make yourself, it’s time to give it a shot and bask in the rewards. All that’s required is to bring together the required ingredients, toss them in the Crock Pot and let it do its thing. Five hours later you come back, shred it up, and get to eating. Bake up some Paleo friendly bread and you can have a pulled pork sandwich with zero guilt involved. What other diet program can say that? Paleo dining can be fancy, and doesn’t have to be hard when you try out any of these assorted Paleo appetizers. Choose between four different appetizers, each of which is very easy to make, and very hard to stop eating before you spoil your appetite. There are Coconut Shrimp, Prosciutto wrapped Dill, Deviled Egg, and Cucumber with Olive Tapenade. But why choose, make all of them and decide which is your favorite. This is a great page to save and come back to the next time you throw a party and want Paleo friendly hors d’oeuvres. These might look fancy and hard to make, but we assure you that it’s just an illusion. The mushroom caps do most of the work, you just have to fill them with some prosciutto and a raw egg. Then bake it up and you’re all set. You can impress your friends with these, as they look like they were made by a chef, and they don’t have to know just how easy it was for you to make them. The great part is that it’s a nice mix of meat and veggies because of the mushroom cap as the base. Chicken fingers are a crowd pleaser, and if you’re trying to raise little caveboys and cavegirls, chances are they’re a wee bit picky. Win them over with these chicken fingers and they’ll be more open to your other Paleo creations. The two biggest things that scratch ordinary chicken fingers from the menu is the breading and the oil they’re fried in. As long as you fix those two snags these are all right. Here they’re using almond meal for the breading, a good choice for a nice crispy coating. They’re baking these to remove the need for so much oil, making it a clear winner, and still very tasty. Sometimes you come up with a delicious creation, and you don’t really know how you got there, or what to call it. Such is the case here, and she’s lost for words but wanted to share with you what she discovered. It’s her Yummy Baked Thingy and that pretty much sums it up perfectly. It’s yummy because of all the beef and vegetables she’s using. It’s baked to avoid added fat, and it’s a thingy because it doesn’t really resemble much of anything, but who cares, as long as it’s yummy. 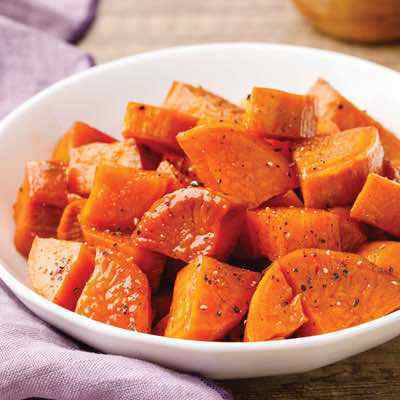 It’s also a complete meal, so no need to worry about making a separate side dish at the same time. It’s good to get the mindset that you’re going to be eating a lot of vegetables while you’re doing Paleo. This is because many falsely believe that Paleo is only about the meat. In fact, it’s just as much about the vegetables, if not more so about the veggies. Think about it: hunter-gatherers would have had an easier time gathering vegetables, it’s safer and more reliable. This salad has a lot going on, but is still way, way easy and could be a salad you turn to again and again in your time of veggie need. Lamb chops may not be as popular as pork chops, but they taste amazing and they are a Paleo approved food. This recipe shows just how easy it is to make an amazing batch of lamb chops using ingredients that you can easily find at the store. The best part is you’ll be making up a fresh mint sauce to go with it. This is a sauce that you’ll often find served with lamb chops, and once you taste them together you’ll see why. Making it fresh is pretty much the only way to go. 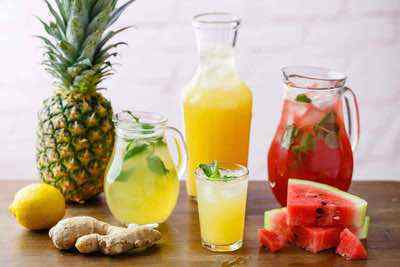 Take three things that are healthy for you and mix them together and you’ll be onto something really good for your body. 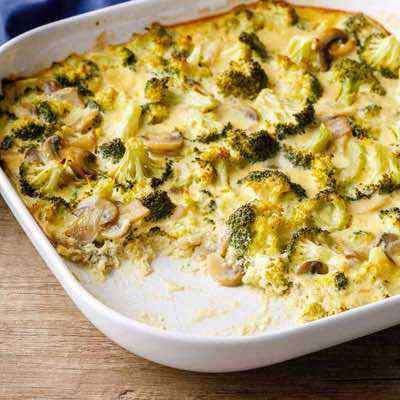 Cauliflower is a cruciferous vegetable that you’ll see used often in Paleo because of its versatility. Pomegranates get plenty of press for their antioxidants. And pistachios have a nice nationwide campaign going encouraging us to eat more of them. When you mix these three unlikely companions together, you get a super easy salad that will top you off on several nutrients. There are a few additional ingredients, but the process is pretty simple: Mix them all together. Eat. Even though you can totally have buffalo chicken wings on Paleo, as long as they’re cooked right, it’s always nice to have a different food made in a buffalo chicken style. In this case they’ve transformed a salad into the flavor of a basket of buffalo wings, and we’re not complaining. 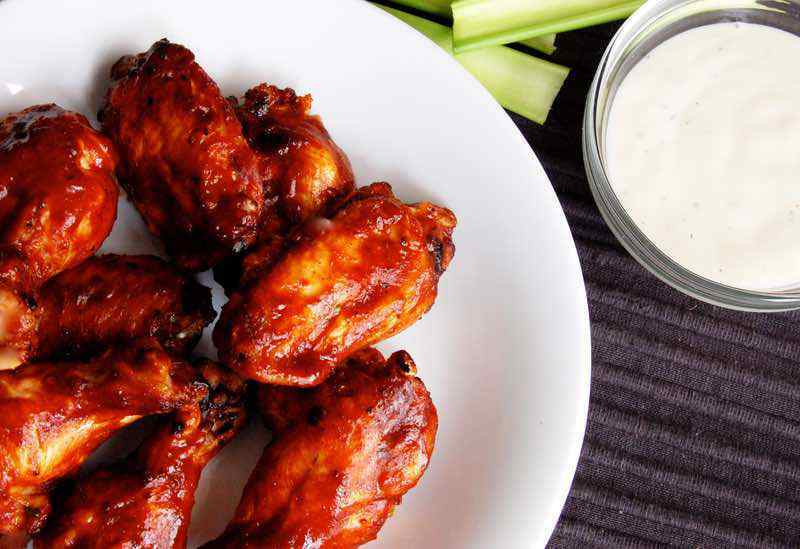 The best part is it’s a bit easier to make than buffalo wings, and comes out tasting as good as the real thing, thanks to the fact that she’s using the same kind of hot sauce that goes on buffalo wings. Drop the Greek yogurt to keep it totally Paleo, and this salad is sure to hit the spot when you are craving wings but don’t have the time to make them. 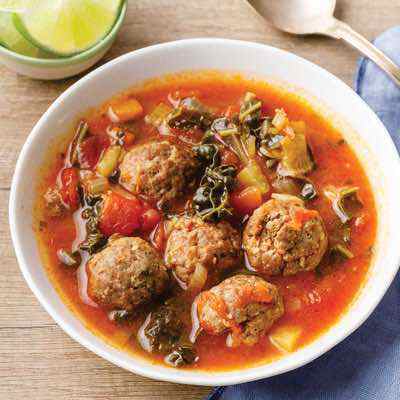 Chicken will provide the protein, and kale will provide just about everything else in this chicken and vegetable soup. 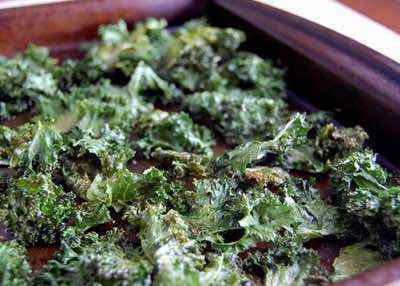 You’ve probably heard kale talked about as if it’s the savior of all vegetables, even though it’s been around forever. 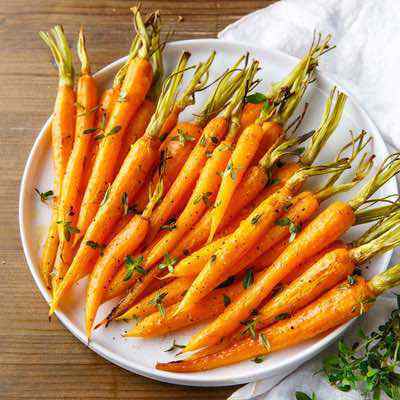 It does provide a ton of nutrients, and works very well on the Paleo diet, which is always trying to seek out ways to get plenty of vegetables onto your plate. The thing we like most about this soup is that it’s billed as being easy, and it only has the essential ingredients needed to make a tasty soup quickly and without a fuss. Previous articleMedical News Today: Cancer: Does mental health influence a person's outlook?